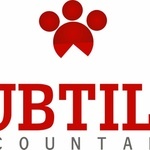 Subtilis Accountancy offers proven expertise in areas like bookkeeping, preparing draft accounts for external accountants, preparing periodic reports, financial statements, bank reconciliations...Read moreSubtilis Accountancy offers proven expertise in areas like bookkeeping, preparing draft accounts for external accountants, preparing periodic reports, financial statements, bank reconciliations and taking care of your general accounting needs. It can be very expensive to hire an in house bookkeeper/accountant therefore by outsourcing your work to Subtilis Accountancy means employing a comprehensive bookkeeping firm which can help you meet your objectives and maximize your profits at a less cost. performance with regular appraisals and financial reports. The cornerstone of our business philosophy is extensive and continued communication with the clients. We keep our clients in the loop at all stages of the accounting procedures with regular reports for the client’s reference. All this data is accessible to the client round the clock through dedicated servers using the most modern software and backup facilities.